you have got to be kidding me! that is fabulous. i would decorate a room around that pretty thing. 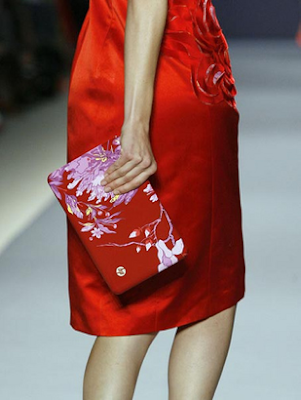 Hmmm, I think I must have this little perfect clutch! Amazing! Love it! But it has been sold out for months as far as I know, sadly! Fabulous! I love it. I never would have guessed it was a computer. Sarah- looks like it’s in stock on the HP site! I’d love to have this to travel with!!! Pretty! I would just carry it everywhere. Forget my purse..I don’t need that. makes me wish i traveled more so i had an excuse to buy this. Omg. I might consider “being unfaithful” to Apple after seeing this! 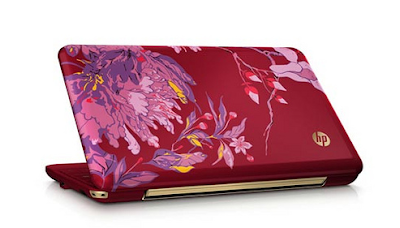 Someone should make “skins” for laptops like that…like for cell phones. I have this notebook – it's so awesome! When I travel, I get so many compliments (and questions). Not the best thing when I'm trying to work though, lol. I absolutely love this thing. The only issue I have with it is the delete/page up/down area of the keyboard – I always hit the wrong key because the placement is slightly different than I'm used to. I'm hoping this problem will go away as I get used to typing on it.